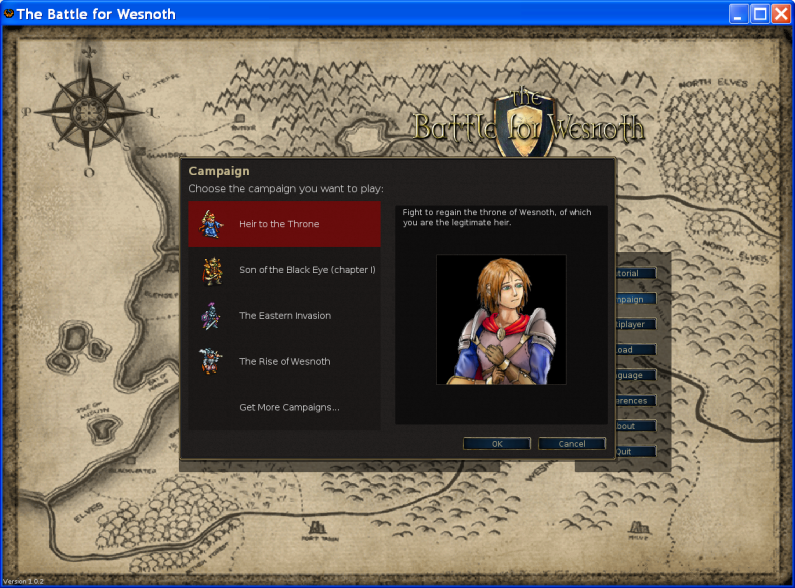 The Battle for Wesnoth is a turn-based strategy game with a fantasy theme. 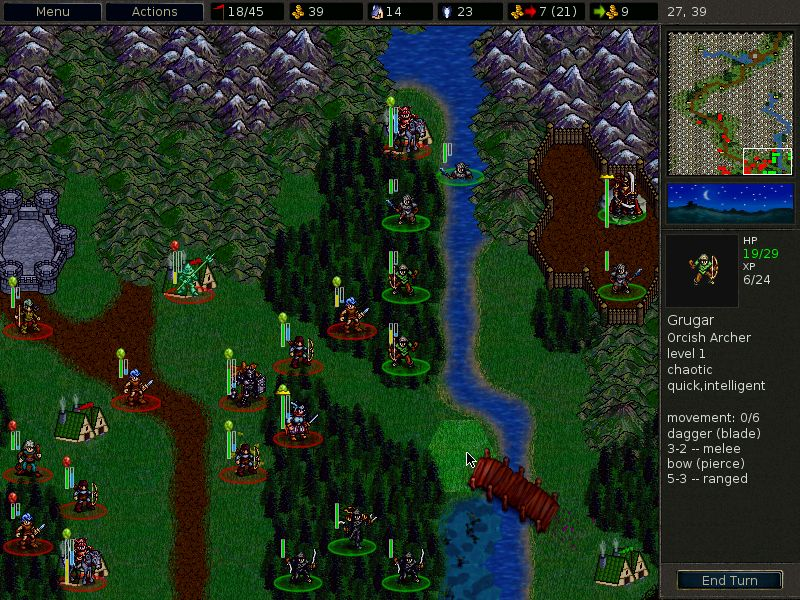 It offers several extensive campaigns, and you can play as Humans, Elves, Dwarves, Orcs or Undead. The characters you can recruit have a range of traits, offering various strategic strengths and weaknesses on different terrains and against different opponents. You can even join friends in online campaigns. The Wesnoth project also regularly organises online tournaments where the best campaigners can measure their skill.